Wood Badge-- "A Century of Beads"
$285 Regular fee due by July 2, 2019. $50 non-refundable deposit due at time of registration to hold your spot. Registration fee pays for all your meals for the days of the course, all course materials, one course T-shirt, and a hat. Details will follow in your information packet sent to all registered participants. Wood Badge is an advanced, national leadership course open only to Scouting volunteers and professionals. Scouters from Cub Scouting, Boy Scouting, Venturing, Sea Scouts, and Explorers, and district and council Scouters all are welcome and belong here. “What” and “why” of Scouting.You will have a deeper understanding of what Scouting is and why we do it. 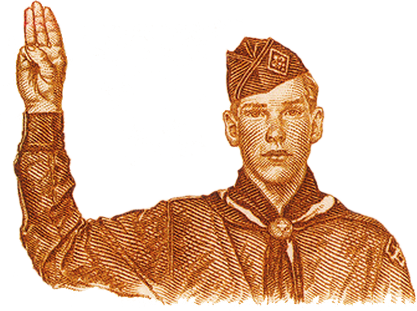 Wood Badge is for all leaders in the Boy Scouts of America. It has been developed for Cub Scout, Scout, and Venturing leaders, as well as council and district leaders. The course content and leadership principles learned will provide a common foundation of leadership skills to be used throughout all program areas. 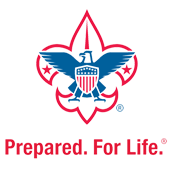 Each person participating in Wood Badge training must be a registered member of the Boy Scouts of America and have completed the basic training courses for his/her Scouting position. Each person must also provide a completed BSA Annual Health & Medical Record (Sections A, B, and C with a doctor’s signature). Read more about the history of Wood Badge here. Information for Employers regarding BSA Wood Badge can be found here. Participants will need the following forms for the Wood Badge Course. Please check back often as updates will be made regularly.